During pregnancy, women’s protein needs are greater than ever. In fact, the Institute of Medicine recommends women between ages 19 and 70 consume 46 grams of protein per day, whereas pregnant women are advised to consume nearly twice that, or approximately 80 grams. This extra protein consumption is vital, given the increased amount and size of a woman’s tissues, the baby’s needs, the effects of labor and birth, postpartum healing, and breastfeeding. In this post we’ll talk about protein’s functions and benefits for mom and baby, talk about good protein-rich foods, and ideas for incorporating more protein into your diet while pregnant. Second only to water, protein is abundant in the body. It builds and repairs our body’s tissues. Bones, blood, skin, muscles, hair, organs, nails, and connective tissues are all made of proteins. Protein helps us maintain Ph and fluid balance in the body. It also helps form the antibodies necessary to fight infection. With adequate protein-to-carbohydrate consumption, we enjoy a stable blood sugar and have energy for our daily activities (including growing a baby). Protein is the raw material from which your baby and placenta are made. Protein is key in the baby’s hormones, growth, metabolism, and sexual development. Protein helps keep the uterus strong. It also contributes to the formation of breast milk. It is essential for blood clotting, which is important in childbirth. Protein helps us heal after childbirth. Insufficient protein can lead to reduced muscle tone, abnormal development and growth, lowered ability to fight infection, lack of energy and stamina, slow recovery from injury and illness, and depression. Our body’s protein is constantly being broken down, utilized and replaced through the foods we eat. Protein in the foods we eat is broken down into amino acids that are used by the body. Of these amino acids about half can be made by the body or converted into another kind if needed. But the other half cannot be made and must be consumed through our foods. These are called the essential amino acids. Approximately 9 are essential for adults and an additional 3 are needed by infants and children (sources vary). 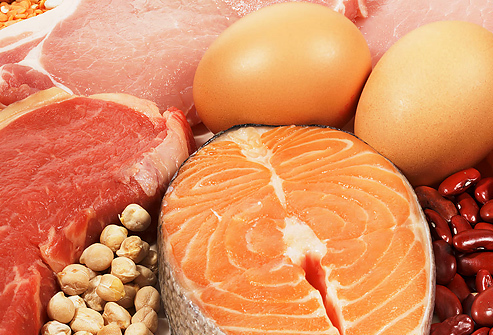 Complete proteins include: meat, fish, poultry, dairy, eggs, and soybean products. 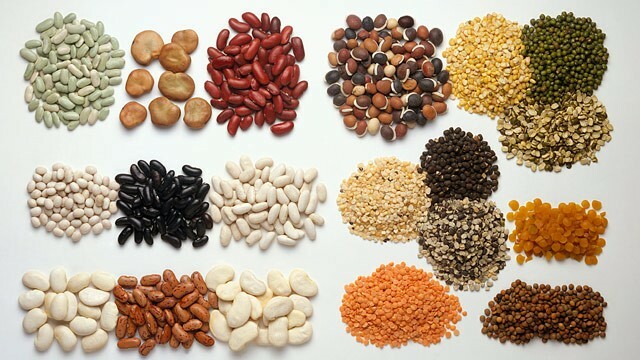 Incomplete proteins include: grains, legumes (beans and lentils), seeds, nuts and nut butters, and some vegetables. It’s important to consume protein from a variety of sources with each meal and snack throughout the day when pregnant. This is the best way to meet your daily requirements. What are your favorite protein-rich snacks and meals in pregnancy?